There is no better way to make a sale than to solve a problem your potential customer is having. You can offer the best service in the world and still end up rebuffed if you aren't selling something that appeals to your audience. Accepting this fact as part of your sales strategy may seem like a huge setback. After all, doesn't that mean you'll need to create a whole new pitch to sell your print services to each new organization? In some ways, that's true – you do have to take a customized approach to reaching out. However, there are a few common desires among companies today that the print industry can use to get a foot in the door. Organizations that may want to hire a print service provider are typically looking for a few particular improvements, and if you can consistently deliver value, you've got a great chance of securing a contract. All that's left is to make sure you know what contemporary businesses value most. According to Printing Impressions columnist Ryan Sauers, salespeople tend to misdiagnose the top focus area for companies today. While it's natural to think that organizations will be most interested in saving money, they're really more keen to add efficiency, effectively gaining time back in their work days. Sauers explained that if you pay attention, you'll hear constant wishes for more time to get things done. Your printing business can offer services that save time and effort, granting clients' wishes. If you lead with the low cost of your services, you may not get the point across. Sauers noted that time has become a currency more valuable than cash. If a potential client hears two pitches, one prioritizing cost and the other presenting the solution as a time-saver, the latter has an intrinsic advantage. That's not to say you should ignore cost or expect to gain business with services that are far more expensive than competitors' offerings, but it does give a great starting point. You only have a short window to get your point across to a potential customer. Business leaders may be consulting with many possible print service providers, or they could be content to stay with what they have – after all, print isn't the must-have communication technology it was in the less-connected '80s and '90s. Therefore, it's your job to make a compelling sales pitch that's made up of the "greatest hits" of modern business desires. First on that list is the common executive call for more time. 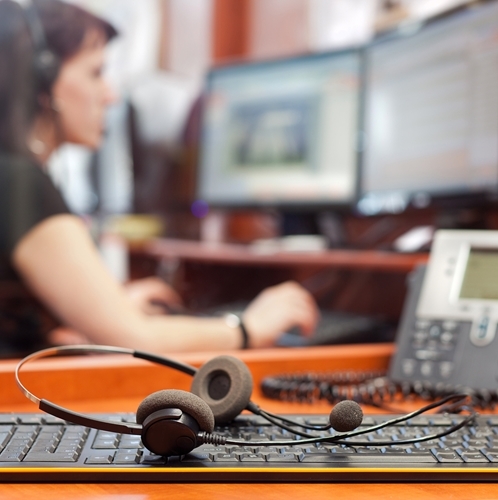 Another Printing Impressions contributor, Thad Kubis, described the process of improving each sales call by ensuring potential customers your products are relevant to their needs. The author explained that calling companies without understanding the common pain points within their industries is simply asking for trouble. Companies want to solve their own problems, and they aren't likely to go out on a limb and make a print purchase unless you can convince them that's what your solution can do for them. As Kubis noted, you should be presenting products and solutions that fit seamlessly with the business processes and strategies in place within your targeted industries. If you do your homework and find out what kinds of print services would improve life for companies like the one you're pitching to, it will let you map out a plan of attack for your sales call. Going in without this initial research is like flying blind, no matter how well you know the ins, outs and advantages of your own products. When you make a print services sale, you want the contract to last for a long time, delivering solid returns to your company and ongoing value to the client. Without making pitches that are relevant to prospects' needs and pain points, it's much harder to make such solid connections. Focusing on your own services and offerings is a good idea up to a point – you certainly can't be under-prepared to tout their virtues – but learning about your clients is where you can truly thrive. Remember that potential buyers are dealing with a host of internal difficulties. If you position your offerings as the way to resolve those issues – giving managers more time in their days, for example, you're poised to make big sales.